For editing Metroid you have a choice of two editors currently, Editroid and MetEdit, the former being actively worked on, these two tools should cover most of the hacking done to Metroid, however a few additional tools exist, such as Metroid Tuner, a list can be found below. Editroid (available on the Tools page) - Wanna hack Metroid? You need Editroid! Can't lose that belly fat? You need Editroid! Are you drowning in credit card bills? You need Editroid! Do you want to please your lover in bed? You need Editroid! That's right! Editroid is the tool to fix any problem that can be fixed by editing Metroid! Metroid Tuner - Sweetass Metroid music maker, crank them tunes out baby! Editroid - Reference guide for Editroid, useful for a quick look at its features and functions, as well as any shortcuts that might exist. Metroid Tuner - Quick reference guide to Metroid Tuner, the music tool for Metroid. Data Structures - Detailed information on how the game world is built and how Editroid works with it. 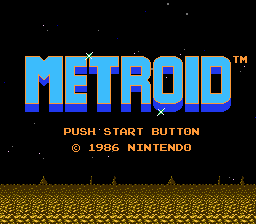 Metroid Tuner Guide - From basic operation to the finer points on dumping and inserting songs. Complete Disassembly. Based on and extends the Original Disassembly.